ICAR-Directorate of Coldwater Fisheries Research (DCFR), Bhimtal (Nainital) invites applications for the recruitment of SRF (Senior Research Fellow) for various projects. Total No. of Post is 02. DCFR Bhimtal released an official notification for the recruitment of SRF on a contract basis. Interested candidates may appear in the Walk-in-Interview on 16 April 2019 at 11:00 AM. ICAR- National Fellow Scheme “Development of a method for detecting the presence of any viral signal in clinical samples of fish. SRF (01) First class Master’s Degree in Biochemistry / Biotechnology / Microbiology / Life science with 4 years / 5 years Bachelor’s Degree. 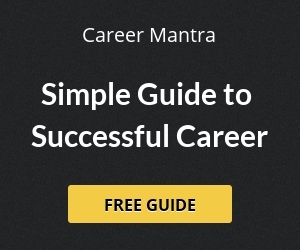 Candidates having a post-graduate degree in Basic Science with 03 years Bachelor’s Degree and 02 Years Master’s Degree should have qualified NET/GATE conducted by ICAR/UGC /CSIR/ICMR or equivalent / Ph.D. in the relevant subject. 35 Years for men and 40 years for a woman, Relaxable under the rule for OBC/SC/ ST candidate as per Govt. of India Norms. Rs.25000 + HRA for First year and Second year and Rs.28000 for the third year Initially, the appointment will be for six months and likely to be extended. Selection of the candidates will be based on Walk-in Interview conducted on 16 April 2019 at 11:00 AM. Interested and Eligible candidates may attend the Walk-in-Interview held on 16 April 2019 at 11:00 AM at Institute’s Bhimtal Campus. Certificates of all passed examinations starting from matriculation, a latest passport size photograph affixed on the application containing bio-data and caste certificate should be produced at the time of Interview. 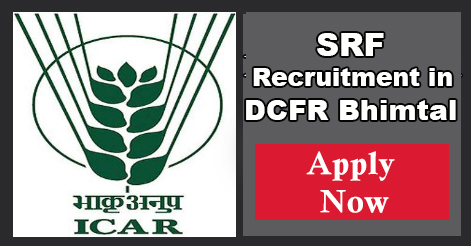 Help us to improve this article/job posting "SRF Recruitment in DCFR Bhimtal". We would be glad if you can comment below and provide your valuable suggestions and feedback. If this page have any wrong information/list or out of context content, then you can report us as well.